This 20′ Ashitenma boat was built from the lines of a 1950s net-fishing boat from the Inland Sea region of Japan. Douglas Brooks and his apprentice Takumi Suzuki, with assistance from Koji Matano, built her from cedar and cypress in Takamatsu, Japan. The fasteners are boat nails with their heads covered with copper plate. She is owned by Art Front Gallery of Tokyo, Japan, and was exhibited in Takamatsu as part of the 2013 Setouchi Festivale. 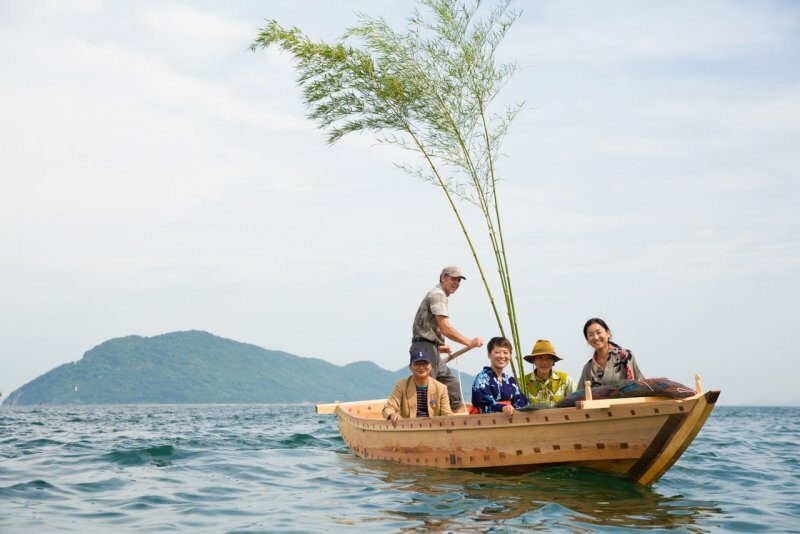 Mr. Shinsuke Inoue took this photograph on launch day showing the boat decorated with a traditional Shinto motif of sprigs of bamboo. Douglas Brooks is sculling. Takumi Suzuki is wearing the brown hat.